Kermans Flooring - a premier Indianapolis Flooring store - gives away a full size area rug each month, valued at up to $1,700. Our store selected another lucky recipient for December: Mr. and Mrs. Clark from Frankfort, Indiana. The Clarks' name was randomly pulled from our in-store fishbowl of entries. 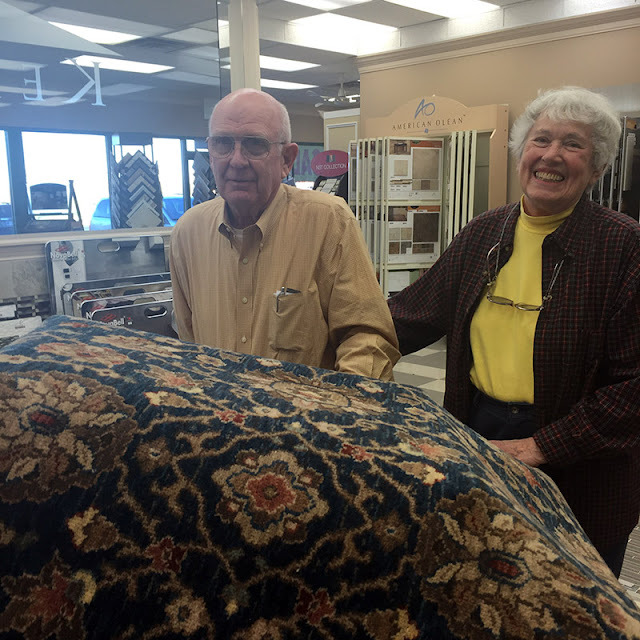 For their winning rug, they selected a blue and tan patterned design. 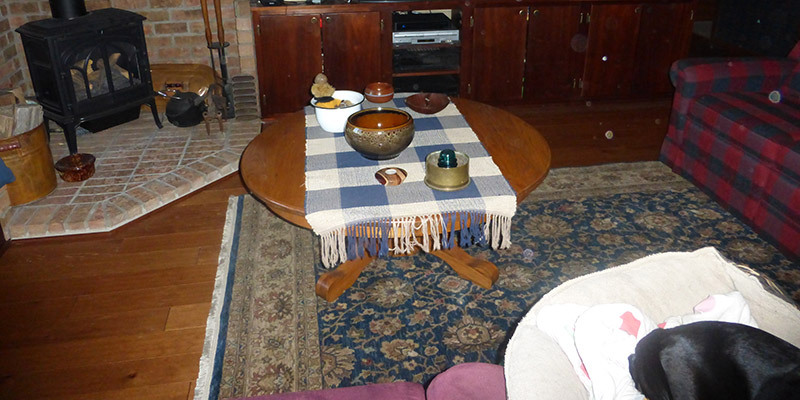 After getting their new rug settled into their home, the Clarks shared with us a photo of the final result. Looks great!